Price listed is for 4 wheels. As the standard 57D, the 57DR is available in more size applications dedicated to the overseas market. The semi-gloss black color is simple yet stylish and the red spoke sticker is a great addition. As the standard RAYS Wheels GramLights 57D, the 57DR is available in more size applications dedicated to the overseas market. The semi-gloss black colour is simple yet stylish and the red spoke sticker is a great addition. 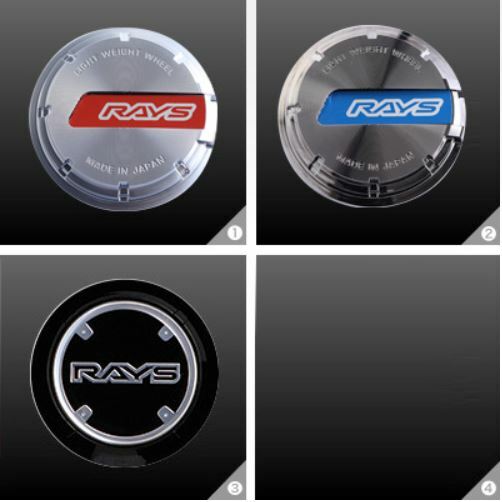 Whether the demand is for a lighter sports wheel or for more affordable wheels, RAYS can come come with what is needed. RAYS is determined to effectively meet the challenge of even the toughest request and come up with an excellent solution. They are equipped to meet any kind of need. If you need large diameters, they already make a 22 inch cast rim, and for premium cars - 20 inch one-piece forged wheels! RAYS Wheels are tested to the demanding JWL+R standards to ensure the wheels will cope with the stresses they are put under in the motorsports world. Volk Racing Wheels, Gram Lights, G-Games, Nismo, Ralliart & TRD.......all made by RAYS! Available in the UK & Europe.